Switch, the operator of a large data center campus in Las Vegas called SUPERNAP, has joined the second round of pledges by private-sector companies to invest millions of dollars into combating climate change under a White House-led initiative. President Barack Obama’s administration unveiled the initiative, called the American Business Act on Climate Pledge, in July and announced that 13 of the country’s largest companies, including Microsoft, Apple, and Google, had made pledges. Google’s pledge, for example, included a commitment to powering its operations, including data centers, with 100 percent renewable energy. Microsoft’s and Apple’s commitments were along similar lines. The companies also promised things like offsetting emissions from business travel, reducing water consumption, and investing in renewable energy development. Some of the biggest investments in the sector are in renewable energy generation projects associated with data center construction projects by the likes of Apple, Google, Microsoft, and Facebook. Most data center providers like Switch generally do not invest in renewable energy. One of the exceptions is QTS, which has built a massive solar farm to offset emissions associated with power consumption of its New Jersey data center. 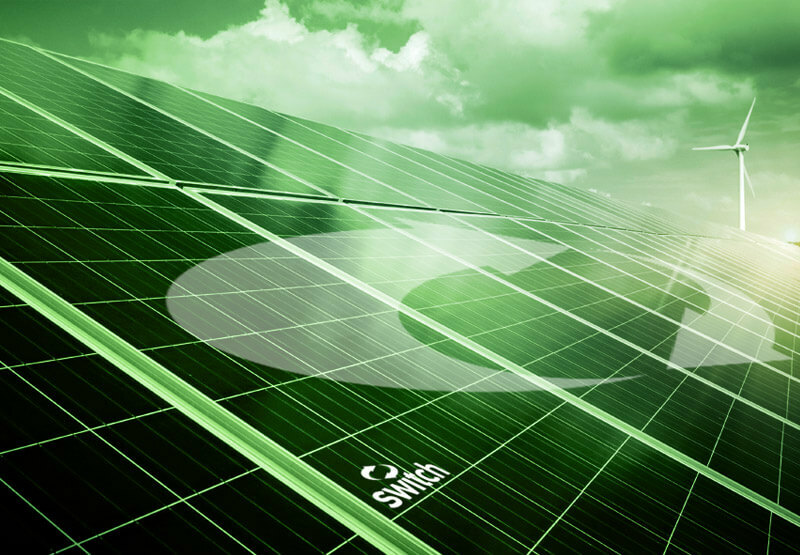 Some data center providers will also help their customers source renewable energy. San Francisco-based Digital Realty, for example, offers its customers the option to use renewable energy at any of its data centers around the world while paying regular energy rates for the first year. When the year is up, they can either switch to regular power or pay a premium to continue using renewables. The tech sector in general has stepped up its investment in renewable energy, according to a recent study by the US Department of Energy. When the White House announced the pledge, it also said it would announce a second round of companies in the fall. Switch is the first colocation company to come on board, which it announced today at the Clean Energy Summit in Las Vegas, where Obama is expected to deliver a keynote address in the evening. Switch’s pledge is to power its data centers with 100 percent renewable energy by building renewable energy generation facilities in Nevada, according to a company statement. The first such project is a 100-megawatt solar farm in the state expected to start construction in October. The data center provider is partnering on the project with Nevada Energy, a public utility that serves Las Vegas, Reno, and the surrounding areas, and First Solar, a manufacturer of photovoltaic panels. Switch also pledged to work on reduction of water use by partnering “for new water technologies” and by getting the new data center campus it is building in Reno to rely 100 percent on recycled water from municipalities and local water utilities in northern Nevada. The company has signed eBay as the anchor tenant at SUPERNAP Reno. As it builds in Reno, Switch also continues to expand in Vegas. Earlier this month, the company announced the opening of the ninth SUPERNAP facility in its hometown.